San Antonio police have arrested the second suspect accused of carjacking an Uber driver and shooting him multiple times. Joe Albert Gover, 25, was taken into custody Saturday in connection with the shooting of Kim Williams, 51, who is fighting for his life in the hospital. On Friday, Jesus Luna, 18, was arrested on the city's Southwest Side. He and Gover both face an aggravated robbery charge, a first-degree felony, for their involvement in the violent carjacking. The family of the victim said as they work to raise money for Williams, who will be out of work for months with mounting hospital bills, they are asking everyone in the community to continue to pray for his recovery. Williams is in critical condition at the hospital after undergoing another major surgery Sunday, according to the family. 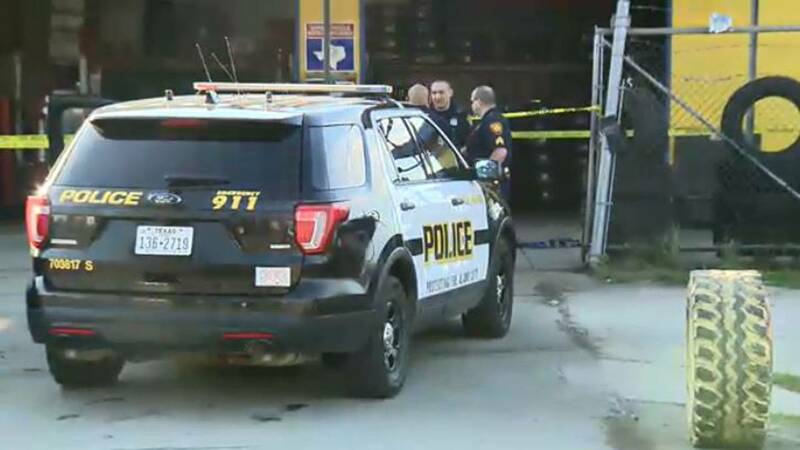 An 18-year-old man was arrested and another man is wanted after San Antonio police say they took part in a violent carjacking that led to an Uber driver being shot multiple times. Jesus Luna was taken into custody around 6 p.m. Friday on the city's Southwest Side by SWAT officers and robbery detectives with the San Antonio Police Department. Jennifer Rodriguez, a spokeswoman with SAPD, said the Uber driver, a 51-year-old man, picked up the two men Thursday morning at an undisclosed location and when they got to the 7400 block of New Laredo Highway, the driver was shot twice in the abdomen. "There was some type of incident that occurred inside the vehicle, and the victim was shot multiple times," Rodriguez said. The victim was able to escape to a nearby muffler shop and call for help. Luna and the other suspect took off in the victim's 2015 Mitsubishi Outlander before police arrived. It was later recovered nearby on the city's South Side, Rodriguez said. According to an arrest affidavit, a responding officer was able to get a description of Luna and the other man from the victim before being transported to the hospital. Luna was seen on surveillance footage from three different locations wearing a reddish sweater, which matched the description given by the victim, according to the affidavit. The affidavit states Luna was captured on surveillance earlier that day entering a Circle K convenience store, where he purchased an Uber gift card and a lighter. Shortly after, Luna and the other man were seen on footage getting into the victim's SUV, according to the affidavit. While it is unclear who pulled the trigger, Rodriguez said Luna and the second suspect will both face a first-degree felony charge of aggravated robbery for their roles in the carjacking. "We are working to identify the second suspect," Rodriguez said. According to online records, Luna has a previous arrest on suspicion of unlawful carrying of a weapon. Rodriguez said the victim has undergone several surgeries and is in the recovery phase at a local hospital. Anyone with information about the second suspect is urged to contact the Police Department's Robbery Task Force Unit at 210-207-0300.